The Church’s commemoration of Valentine has nothing to do with lovers! It originated with two separate people, both called Valentine. Valentine of Terni was a 3rd century bishop who was martyred at Rome in 273. Valentine of Rome was a priest who was also martyred for his faith in the mid 3rd century. It is likely that these two stories became confused over time, with the two martyrdoms becoming in effect one commemoration. The present-day custom of sending cards and flowers declaring love may owe its existence to John Donne who wrote a marriage song for Princess Elizabeth’s marriage to Frederick V, Elector Palatine on St Valentine’s Day in 1632. Donne’s marriage song merged the religious commemoration of Valentine with fertility symbolism. I will recount the gracious deeds of the LORD, the praiseworthy acts of the LORD, because of all that the LORD has done for us, and the great favor to the house of Israel that he has shown them according to his mercy, according to the abundance of his steadfast love. For he said, "Surely they are my people, children who will not deal falsely" and he became their savior in all their distress. It was no messenger or angel but his presence that saved them; in his love and in his pity he redeemed them; he lifted them up and carried them all the days of old. But they rebelled and grieved his holy spirit; therefore he became their enemy; he himself fought against them. Then they remembered the days of old, of Moses his servant. Where is the one who brought them up out of the sea with the shepherds of his flock? Where is the one who put within them his holy spirit, who caused his glorious arm to march at the right hand of Moses, who divided the waters before them to make for himself an everlasting name, who led them through the depths? Like a horse in the desert, they did not stumble. Like cattle that go down into the valley, the spirit of the LORD gave them rest. Thus you led your people, to make for yourself a glorious name. On the following day, when they came from Bethany, he was hungry. Seeing in the distance a fig tree in leaf, he went to see whether perhaps he would find anything on it. When he came to it, he found nothing but leaves, for it was not the season for figs. He said to it, "May no one ever eat fruit from you again." And his disciples heard it. Then they came to Jerusalem. And he entered the temple and began to drive out those who were selling and those who were buying in the temple, and he overturned the tables of the money changers and the seats of those who sold doves; and he would not allow anyone to carry anything through the temple. He was teaching and saying, "Is it not written, 'My house shall be called a house of prayer for all the nations'? But you have made it a den of robbers." 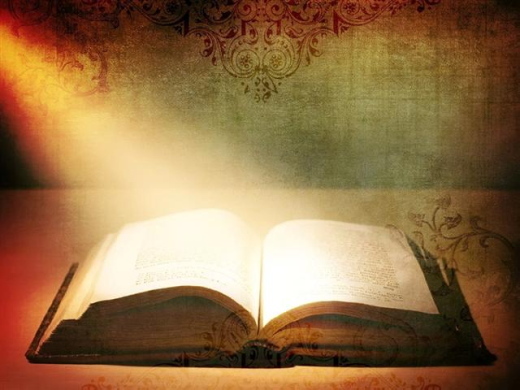 And when the chief priests and the scribes heard it, they kept looking for a way to kill him; for they were afraid of him, because the whole crowd was spellbound by his teaching. And when evening came, Jesus and his disciples went out of the city. In the morning as they passed by, they saw the fig tree withered away to its roots. Then Peter remembered and said to him, "Rabbi, look! The fig tree that you cursed has withered." Jesus answered them, "Have faith in God. Truly I tell you, if you say to this mountain, 'Be taken up and thrown into the sea,' and if you do not doubt in your heart, but believe that what you say will come to pass, it will be done for you. So I tell you, whatever you ask for in prayer, believe that you have received it, and it will be yours. "Whenever you stand praying, forgive, if you have anything against anyone; so that your Father in heaven may also forgive you your trespasses." Here ends the Gospel lesson for today. Glory be to Thee ,O Christ! 1 The LORD is King; let the earth rejoice; let the multitude of the isles be glad. 2 Clouds and darkness are round about him, righteousness and justice are the foundations of his throne. 3 A fire goes before him and burns up his enemies on every side. 4 His lightnings light up the world; the earth sees it and is afraid. 5 The mountains melt like wax at the presence of the LORD, at the presence of the Lord of the whole earth. 6 The heavens declare his righteousness, and all the peoples see his glory. 7 Confounded be all who worship carved images and delight in false gods! Bow down before him, all you gods. 8 Zion hears and is glad, and the cities of Judah rejoice, because of your judgments, O LORD. 9 For you are the LORD, most high over all the earth; you are exalted far above all gods. 10 The LORD loves those who hate evil; he preserves the lives of his saints and delivers them from the hand of the wicked. 11 Light has sprung up for the righteous, and joyful gladness for those who are truehearted. 12 Rejoice in the LORD, you righteous, and give thanks to his holy Name. 1 The LORD is King; let the people tremble; he is enthroned upon the cherubim; let the earth shake. 2 The LORD is great in Zion; he is high above all peoples. 3 Let them confess his Name, which is great and awesome; he is the Holy One. 4 O mighty King, lover of justice, you have established equity; you have executed justice and righteousness in Jacob. 5 Proclaim the greatness of the LORD our God and fall down before his footstool; he is the Holy One. 6 Moses and Aaron among his priests, and Samuel among those who call upon his Name, they called upon the LORD, and he answered them. 7 He spoke to them out of the pillar of cloud; they kept his testimonies and the decree that he gave them. 8 O LORD our God, you answered them indeed; you were a God who forgave them, yet punished them for their evil deeds. 9 Proclaim the greatness of the LORD our God and worship him upon his holy hill; for the LORD our God is the Holy One. 1 Be joyful in the LORD, all you lands; serve the LORD with gladness and come before his presence with a song. 2 Know this: The LORD himself is God; he himself has made us, and we are his; we are his people and the sheep of his pasture. 3 Enter his gates with thanksgiving; go into his courts with praise; give thanks to him and call upon his Name. 4 For the LORD is good; his mercy is everlasting; and his faithfulness endures from age to age. 1 O LORD God of vengeance, O God of vengeance, show yourself. 2 Rise up, O Judge of the world; give the arrogant their just deserts. 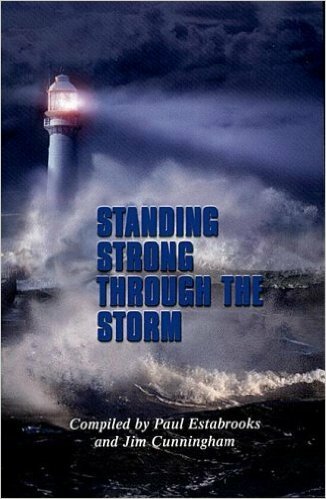 3 How long shall the wicked, O LORD, how long shall the wicked triumph? 4 They bluster in their insolence; all evildoers are full of boasting. 5 They crush your people, O LORD, and afflict your chosen nation. 6 They murder the widow and the stranger and put the orphans to death. 7 Yet they say, "The LORD does not see, the God of Jacob takes no notice." 8 Consider well, you dullards among the people; when will you fools understand? 9 He that planted the ear, does he not hear? he that formed the eye, does he not see? 10 He who admonishes the nations, will he not punish? he who teaches all the world, has he no knowledge? 11 The LORD knows our human thoughts; how like a puff of wind they are. 13 To give them rest in evil days, until a pit is dug for the wicked. 14 For the LORD will not abandon his people, nor will he forsake his own. 15 For judgment will again be just, and all the true of heart will follow it. 16 Who rose up for me against the wicked? who took my part against the evildoers? 17 If the LORD had not come to my help, I should soon have dwelt in the land of silence. 18 As often as I said, "My foot has slipped, " your love, O LORD, upheld me. 19 When many cares fill my mind, your consolations cheer my soul. 20 Can a corrupt tribunal have any part with you, one which frames evil into law? 21 They conspire against the life of the just and condemn the innocent to death. 22 But the LORD has become my stronghold, and my God the rock of my trust. 23 He will turn their wickedness back upon them and destroy them in their own malice; the LORD our God will destroy them. 1 Come, let us sing to the LORD; let us shout for joy to the Rock of our salvation. 2 Let us come before his presence with thanksgiving and raise a loud shout to him with psalms. 4 In his hand are the caverns of the earth, and the heights of the hills are his also. 5 The sea is his, for he made it, and his hands have molded the dry land. 6 Come, let us bow down, and bend the knee, and kneel before the LORD our Maker. 7 For he is our God, and we are the people of his pasture and the sheep of his hand. Oh, that today you would hearken to his voice! 8 Harden not your hearts, as your forebears did in the wilderness, at Meribah, and on that day at Massah, when they tempted me. 9 They put me to the test, though they had seen my works. 10 Forty years long I detested that generation and said, This people are wayward in their hearts; they do not know my ways." 11 So I swore in my wrath, "They shall not enter into my rest." Morning Devotions with Cap'n Kenny - "The Deepest Need of All"
Nebuchadnezzar had conquered most of the civilized world. And when there were no more wars to fight, he turned his energies to Babylon. With all the wealth he accumulated and the slaves he acquired from carrying people away from their homeland, Nebuchadnezzar had unparalleled opportunities to do whatever he wanted to do. Some of the world’s architectural wonders were in Babylon. At 350 feet high and 87 feet wide, Babylon’s city walls had enough room for six chariots to race side by side. The city’s 100 gates were made of burnished bronze, and a single palace covered 11 acres. One banquet hall seated 10,000 people. It was a very impressive place. Yet despite the fact that Nebuchadnezzar was safe behind his towering walls and massive gates, with guards at his beck and call, God penetrated it all and got to his heart. Nebuchadnezzar was troubled by a dream. Some of the hardest people to reach are those who are at rest in their house, those who, because of all they have, may not see their real spiritual condition. I think it’s a mistake to appeal only to unhappy, lonely, and empty individuals when we share the gospel. Not everyone is unhappy, empty, and lonely at every given moment. There are some people who will have bursts of happiness. Their life will be going relatively well. I’m not saying that Jesus doesn’t reach out to unhappy, lonely, empty people. But we must go to the deepest need of all: their eternal destiny. What is true of every person at any given moment is that he or she will go to one of two places beyond the grave. The thing to remember is there is no person, regardless of how famous or powerful they are, who is beyond the reach of prayer. Scripture taken from the Holy Bible, New Living Translation®, NLT®, copyright © 1996, 2004, 2015 by Tyndale House Foundation. Used by permission of Tyndale House Publishers Inc., Carol Stream, Illinois 60188. All rights reserved. Devotion by Greg Laurie © 2016 Harvest Christian Fellowship; all rights reserved. Este título es preocupante. Es posible que alguien se pregunte: «¿Quién quiere hacer esto?» o «¿Cómo la autora del libro sabe que tengo alguna de esas debilidades o pecados?». Me llamó también poderosamente la atención la primera vez que escuché estas tres palabras en una iglesia cristiana, la primera que conocí, «La Catedral del Pueblo». Así que cuando la pastora Edén, algún líder o pastor predicaban acerca de esto, me costaba creer que a alguien le interesara robarme lo mío, ya fueran mis finanzas, felicidad, confianza, familia, mis hijas. Que alguien deseara matarme y destruir mi vida, mis sueños, mi esperanza, mi testimonio. Hasta que entendí que más que hablar del diablo, Satanás, o el enemigo, esto era real. 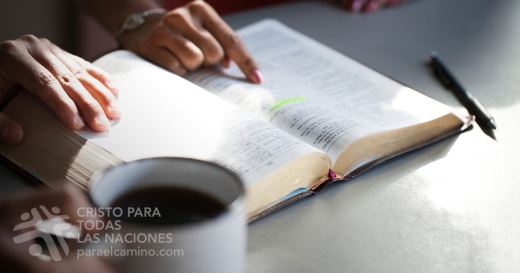 Lo comprobé primero en la Biblia donde dice que esas son las funciones y anhelos del enemigo de nuestra vida. En mi caminar con Cristo, también lo he experimentado en diferentes pruebas y circunstancias de la vida. El enemigo me robó uno de mis matrimonios y mis finanzas. Destruyó en ocasiones mis sueños y trató de arrebatarme de este mundo mediante una grave enfermedad. Por eso tú y yo debemos comprender que solo en Dios podemos vivir confiadamente. Además, debemos en todo momento utilizar el recurso más poderoso que nos dejó el Señor: «La oración». Con la oración, te guardas en los brazos de Dios y depositas tu vida y la de los tuyos en sus manos. Solo allí estamos seguros y podemos encontrar nuestra verdadera felicidad, pues a Dios le interesa amarte, bendecirte y prosperarte. Un Día a la Vez Copyright © by Claudia Pinzón. La Santa Biblia, Nueva Versión Internacional® NVI® Copyright © 1986, 1999, 2015 by Biblica, Inc.® Used by permission. All rights reserved worldwide. In his book, The Upside Down Church, Pastor Greg Laurie says, “The first Christians didn’t out-argue pagans—they outlived them…Christianity made no attempts to conquer paganism and dead Judaism by reacting blow by blow. Instead, the Christians of the first century outthought, outprayed and outlived the unbelievers. A crowd of smiling faces awaited us as we entered the small stuffy room. The ages of the children ranged from eight to eleven years and they were seemingly oblivious and unaware of the circumstances surrounding their village—poverty, problems and persecution. To be a Christian, let alone a Christian child, was not an easy life. It was Saturday evening and the excitement that filled the air overwhelmed any feeling of self-pity and despair that might have existed. Between thirty and forty young boys, each equipped with a large maize bag, excitedly awaited orders. As we entered the room the youth leader saw the frowns on our faces and answered our questions even before we could ask. “Yes, it’s Saturday evening,” he started explaining, “and tonight the children will once again ‘invade’ our little village. They will go to every house in every street. They will ask the inhabitants whether they have enough bread to eat or not. If there is more than enough bread in the house they will ask the families to place any extra bread in the bag for those who do not have enough bread. “The children will continue until all the bags are filled to the top. Then the fun part of the evening starts. They will then go back to all the homes where there was not enough bread to eat and distribute so that every family in our village will have enough bread to eat for the next week. RESPONSE: I will live this day showing love to those in need in the most practical ways. PRAYER: Lord, bless those Egyptian Christian children who love others and demonstrate it in a practical way. 1. Greg Laurie, The Upside Down Church (Wheaton: Tyndale Publishers, 1999), p. 46. [Let your] love be sincere (a real thing)” (Romans 12:9 AMPC). Valentine’s Day. 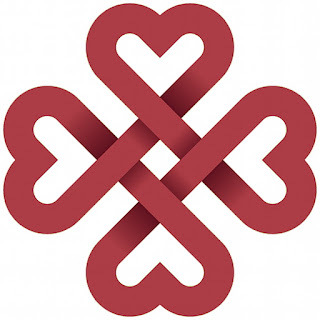 It makes me think of sweethearts, frilly cards, heart-shaped balloons, and candy, but it also causes me to reflect on how I love people in general. Paul gives us some good advice on how to love one another in Romans 12:9-18. Be devoted to one another. Never be lacking in zeal. Share with God’s people who are in need. Bless those who persecute you. Rejoice with those who rejoice. Be careful to do what is right in the eyes of everybody. February is the month we celebrate love, marriage, and sweethearts. But love is more than frilly Valentine’s Cards, heart-shaped candy, and bouquets of roses or balloons. Sometimes love is commitment to hard work. If you are married, here are some questions to ask yourself: Do I love my husband well? Do I adore the man God has given to me? Am I admiring him as a child of God? Am I appreciating him for who he is today instead of what he could be if he lived up to my expectations? Am I giving my heart freely or do I make him feel as though he constantly has to earn my love? During the month of February, as you are giving Valentine’s cards to the people you love, consider Paul’s Roman Rules for love. Lord, it seems that sometimes I am more careful about loving my friends than I am my own husband. Help me to show him kindness, respect, affection, and forgiveness. Help me to remember that my marriage is the most important earthly relationship that I have. Bring to mind ways that I can show my husband just how much I love him still. Dear God of Love, I pray that I will love others well today. I pray that You will fill me with Your Holy Spirit so that I can overflow Your love to those around me. I know that loving others is Your most important command. Help me to keep that foremost in my mind and actions this day. Go back up to the Roman Rules above. Either write them out or print them off from this devotion. Carry this list in your pocket and glance at them often today. Check up on yourself several times through the day and see how you’re doing! If you’re brave enough, ask a friend to give you honest feedback on what you do well and what needs improvement. February is the month of love and a wonderful time to contemplate marriage. Do you want to become the woman of your husband’s dreams? The woman who makes him so rry to leave in the morning and eager to come home at night? I have several marriage resources to help you do just that, and I’m offering them at a Valentine’s Day Bundle over at my website. The bundle includes my latest book, A 14-Day Romance Challenge! 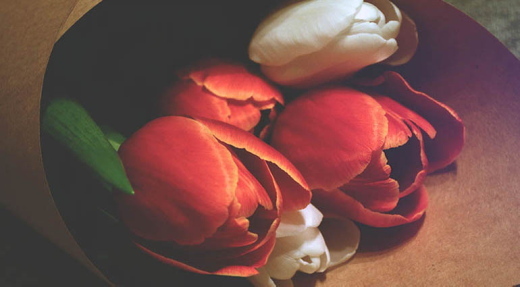 LHM Daily Devotion - "Euphemism"
Pastor's note: while this devotion is not gross, crude or violent, it may be one parents want to screen before they share (and end up trying to explain) to their children. When you have to -- but don't want to -- say something which seems overly harsh, it's time to roll out your friendly, nice-sounding euphemism. For example, if someone died, you can say they departed, passed away, bit the big one, sold the farm, bit the dust, kicked the bucket, or croaked. Did someone die in the hospital? That individual had experienced a "negative patient outcome." If they died at the hand of the mob, they had been "fitted with concrete overshoes," and if their end was brought about by a comrade (i.e. "friendly fire"), their death is called "collateral damage." At times, when you don't want to offend, euphemisms can be wonderful friends and, at other times, euphemisms can be just plain silly. An official guide sent by the British Medical Association to all the MDs in the United Kingdom fits into the silly category. In the 14-page booklet, physicians were told they should stop referring to pregnant women as "expectant mothers." Indeed, the booklet suggests the physician should erase the title "expectant mother" from his or her vocabulary. The new and, theoretically, non-offensive term the article encouraged was ... are you ready... "pregnant person." Well, if the new suggestion was supposed to be in offensive, I'm afraid it has failed. There are a lot of pregnant and ex-pregnant women who were offended their hard-earned title was going to be set aside so a few ex-men might not be offended. There are other women who said, "Being a woman and a mother is more than a lifestyle choice." Although no one in Great Britain has asked, I think, rather than offending 32 million women, they might want to consider a new title for those fellows like, maybe, men-moms. As I said, nobody asked me. God's prime purpose in speaking to us in Scripture is to save us -- not to not offend us. God wants us to be sure the things He says to us are not open to misinterpretation. The Lord wants us to see the enormity of our lostness and the greatness of His grace. That's why you will hear Him saying things like "the wages of sin is death" (Romans 6:23a) and "the soul that sins will die" (see Ezekiel 18:20a). He wants us to know His intentions toward His lost children when He says that He would have all men to be saved and come to a knowledge of His truth (see 1 Timothy 2:4). He tells us of the intensity of His love for us when He says that He loved the world so much He gave His only Son to take our place (see John 3:16). And so we are never confused, He tells us that "there is salvation in no one else, for there is no other Name under heaven given among men by which we must be saved." You will note there is not a euphemism in the bunch. THE PRAYER: Dear Lord, I give thanks that You have been plain in condemning sin and equally clear on how we can be saved. Grant that we may be equally clear in expressing our appreciation. In Jesus' Name I pray. Amen. 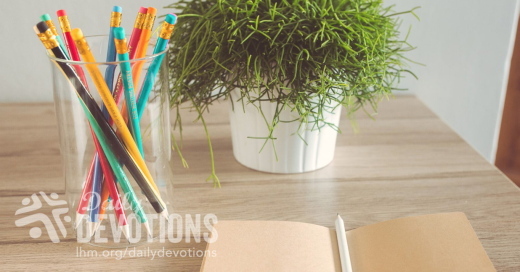 Use these devotions in your newsletter and bulletin! Used by permission; all rights reserved by the Int'l LLL (LHM). The Holy Bible, English Standard Version. ESV® Permanent Text Edition® (2016). Copyright © 2001 by Crossway Bibles, a publishing ministry of Good News Publishers. El amor no insiste en salirse con la suya, por lo que sufre el dolor del rechazo. La gloria del Señor dejó el templo en Jerusalén en el año 587 a.C. (ver Ezequiel 10). Sin embargo, Él regresó con los exiliados para comenzar nuevamente. Cuando Jesús dejó el templo, hizo la promesa de regresar y levantar el velo sobre sus corazones cada vez que se volvieran al Señor. En ambas ocasiones, cuando Dios dejó el templo, el pueblo ya lo había rechazado. Amar a alguien así como Dios amó a Jerusalén y su gente no significa ser ciego a sus pecados. Por el contrario, hay veces en que el amor requiere una separación. Jesús dejó Jerusalén para que ella pudiera recapacitar. ¿Has sido rechazado por alguien a quien has amado? ¿Cuánto te esforzaste por conquistarle? Es con esos sentimientos, creo yo, que Jesús dijo: "¡Miren cuán desolada se queda la casa de ustedes! Porque yo les digo que no volverán a verme hasta que digan: 'Bendito el que viene en el nombre del Señor.'" La palabra que usa el Antiguo Testamento para decir lo que Jesús estaba diciendo es 'ichabod', que significa: "la gloria se ha ido". Sin embargo, el amor de Dios no se termina. Por más que peques, Él no deja de amarte. Él te disciplina en amor, para que tu vieja naturaleza pecaminosa disminuya y seas revestido con su vida. Él cargó con la culpa de tus pecados sólo porque te ama. Es por ello que ahora, a cambio de eso, tú puedes vestir su naturaleza perfecta. ¿Cómo se siente el ser amado con un amor eterno? ¿Cuánto te cambia su amor? ORACIÓN: Señor Jesús, ayúdanos a experimentar la profundidad de tu amor. Amén. © Copyright 2017 Cristo Para Todas Las Naciones. Reina Valera Contemporánea (RVC) Copyright © 2009, 2011 by Sociedades Bíblicas Unidas. When a series of pink “I love you” signs mysteriously appeared in the town of Welland, Ontario, local reporter Maryanne Firth decided to investigate. Her sleuthing turned up nothing. Weeks later, new signs appeared featuring the name of a local park along with a date and time. Accompanied by a crowd of curious townspeople, Firth went to the park at the appointed time. There, she met a man wearing a suit who had cleverly concealed his face. Imagine her surprise when he handed her a bouquet and proposed marriage! The mystery man was Ryan St. Denis—her boyfriend. She happily accepted. St. Denis’s expression of love toward his fiancée may seem a bit over-the-top, but God’s expression of love for us is nothing short of extravagant! “This is how God showed his love among us: He sent his one and only Son into the world that we might live through him” (1 John 4:9). Jesus is not merely a token of love, like a rose passed from one person to another. He is the divine human who willingly gave up His life so that anyone who believes in Him for salvation can have an everlasting covenant relationship with God. Nothing can separate a Christian “from the love of God that is in Christ Jesus our Lord” (Rom. 8:39). Dear God, thank You for showing me, in the greatest way possible, that You love me. Help my life to demonstrate my love for You. We know how much God loves us because He sent His Son to save us. Khi thấy một loạt những biển hiệu màu hồng có dòng chữ “Anh yêu em” xuất hiện tại thị trấn Welland, Ontario, phóng viên Maryanne Firth đã quyết định đi tìm hiểu. Cuộc tìm kiếm của cô không đi đến đâu. Nhiều tuần sau đó, những biển hiệu mới lại xuất hiện với dòng chữ ghi tên một công viên địa phương cùng ngày giờ trên đó. Cùng với những người dân địa phương hiếu kỳ, Firth đến công viên đúng theo giờ ghi trên đó. Tại đó, cô gặp một chàng trai mặc bộ đồ vest, người này đã khéo léo che đi khuôn mặt của mình. Thử tưởng tượng cô ấy đã ngạc nhiên thế nào khi chàng trai trao cho cô một bó hoa và cầu hôn cô! Chàng trai bí ẩn ấy là Ryan St. Denis – bạn trai của cô. Cô đã vui vẻ nhận lời cầu hôn. Cách bày tỏ tình yêu của Denis với vị hôn thê của mình có vẻ hơi thái quá, nhưng cách Chúa bày tỏ tình yêu của Ngài đối với chúng ta thì vô cùng cao cả! “Tình yêu thương của Đức Chúa Trời đối với chúng ta đã được bày tỏ trong điều nầy: Đức Chúa Trời đã sai Con Một của Ngài đến trần gian để chúng ta nhờ Con ấy mà được sống” (1 Giăng 4:9). Chúa Jêsus không chỉ đơn thuần là bằng chứng của tình yêu, như đóa hoa hồng mà một người trao cho người kia. Ngài là thần nhân, Đấng sẵn lòng từ bỏ sự sống mình để bất cứ ai tin nhận Ngài đều có được mối liên hệ giao ước đời đời với Đức Chúa Trời. Không điều gì có thể phân rẽ một Cơ Đốc nhân với “tình yêu thương của Đức Chúa Trời trong Đấng Christ Jêsus, Chúa chúng ta” (Rô-ma 8:39). Lạy Chúa, cảm ơn Ngài đã bày tỏ tình yêu của Ngài đối với con theo cách vĩ đại nhất. Xin giúp cuộc đời con bày tỏ tình yêu của con dành cho Ngài. Chúng ta biết Đức Chúa Trời yêu mình dường bao vì Ngài sai Con Ngài đến cứu chuộc chúng ta. En esto se mostró el amor de Dios para con nosotros, en que Dios envió a su Hijo unigénito al mundo… (1 Juan 4:9). Cuando una serie de carteles rosa que decían «Te amo» aparecieron misteriosamente en un pueblo de Canadá, una reportera local decidió investigar, pero no tuvo resultados. Semanas después, aparecieron otros carteles con el nombre de un parque, una fecha y una hora. Junto con una multitud de lugareños curiosos, la reportera fue al parque a la hora señalada. Allí se encontró con un hombre vestido con un traje y la cabeza tapada. ¡Imagina la sorpresa cuando él le dio un ramo de flores y le propuso matrimonio! El misterioso hombre era su novio… y ella aceptó felizmente la propuesta. Esta expresión de amor puede parecer un poco exagerada, ¡pero la manifestación del amor de Dios sí que fue insólita! «En esto se mostró el amor de Dios para con nosotros, en que Dios envió a su Hijo unigénito al mundo, para que vivamos por él» (1 Juan 4:9). Jesús no es una simple muestra de amor, como una rosa que alguien le da a otra persona. Jesucristo es el Dios-hombre que entregó voluntariamente su vida para que todo aquel que cree en Él sea salvo y viva para la eternidad con Dios. Nada puede separar a un creyente «del amor de Dios, que es en Cristo Jesús Señor nuestro» (Romanos 8:39). Querido Dios, gracias por mostrarme tu amor por medio de Cristo. Ayúdame a mostrarte con mi vida que te amo. Sabemos cuánto nos ama Dios porque envió a su Hijo para salvarnos. Als in einer kanadischen Stadt eine Reihe roter Schilder mit den Worten „Ich liebe dich“ auftauchten, beschloss Lokalredakteurin Maryanne Firth, der Sache nachzugehen. Doch ihre Suche brachte nichts zutage. Wochen später erschienen neue Botschaften mit dem Namen eines städtischen Parks sowie einem Datum und einer Uhrzeit. Gefolgt von einer Schar neugieriger Anwohner, begab Firth sich zur genannten Zeit in den Park. Dort fand sie einen Mann im Anzug mit geheimnisvoll verhülltem Gesicht. Man stelle sich ihre Überraschung vor, als er ihr einen Blumenstrauß übergab und sie um ihre Hand bat! Der mysteriöse Mann war ihr eigener Freund. Sie sagte Ja. Das Vorgehen des Mannes mag ein bisschen übertrieben scheinen. Aber Gott schlägt ihn um Längen. „Darin ist erschienen die Liebe Gottes unter uns“, schreibt Johannes, „dass Gott seinen eingeborenen Sohn gesandt hat in die Welt, damit wir durch ihn leben sollen“ (1.Johannes 4,9). Jesus ist nicht nur ein Liebessymbol wie eine Rose, die man von einem anderen erhält. Er ist der göttliche Mensch, der sein Leben freiwillig aufgab, damit alle, die an ihn glauben, eine ewige Beziehung zu Gott eingehen können. Nichts kann einen Christen trennen „von der Liebe Gottes, die in Christus Jesus ist, unserm Herrn“ (Röm. 8,39). Lieber Herr, danke, dass du mir so deutlich gezeigt hast, dass du mich liebst. Lass mich mit meinem ganzen Leben zeigen, wie sehr ich dich dafür liebe. Wir wissen, wie sehr Gott uns liebt, weil er seinen Sohn gesandt hat, um uns zu erlösen. Lors de l’apparition mystérieuse d’une série de panneaux roses disant « I love you » dans la petite ville de Welland, en Ontario, la journaliste locale Maryanne Firth a décidé de faire enquête à ce sujet. Son travail de détective ne l’a toutefois conduite nulle part. Des semaines plus tard, de nouveaux panneaux ont fait leur apparition sur lesquels on pouvait lire cette fois‑ci le nom d’un parc de la place, ainsi qu’une date et une heure. Accompagnée d’une foule de résidents curieux, Firth s’est rendue au parc en question à la date et à l’heure mentionnées. Là, elle a trouvé un homme portant un costume qui s’était ingénieusement dissimulé le visage. Imaginez un peu sa surprise lorsqu’il lui a tendu un bouquet et l’a demandée en mariage ! Ce mystérieux homme n’était nul autre que Ryan St. Denis, son petit ami. Elle a accepté de l’épouser avec bonheur. L’expression d’amour de St. Denis envers sa fiancée semble peut‑être légèrement exagérée, mais l’expression de l’amour de Dieu envers nous n’est rien de moins qu’extravagante ! « L'amour de Dieu a été manifesté envers nous en ce que Dieu a envoyé son Fils unique dans le monde, afin que nous vivions par lui. » (1 JN 4.9). Jésus est l’humain‑divin qui a renoncé à sa vie afin que quiconque croit à la vie éternelle vive une relation sans fin avec Dieu, car rien ne peut séparer le chrétien « de l’amour de Dieu manifesté en Jésus‑Christ notre Seigneur » (RO 8.39). Nous savons que Dieu nous aime, car il a envoyé son Fils nous sauver. Коли в містечку Уелланд (штат Онтаріо) з’явились таємничі рожеві написи “Я люблю тебе”, цю загадку вирішила розгадати місцева журналістка Маріанна Фірт. Всі її пошуки виявились даремними, але за кілька тижнів написи з’явились знову: вони містили назву місцевого парку, дату й час. У призначений час Фірт з’явилась у супроводі натовпу зацікавлених жителів містечка. Там вона побачила чоловіка, що дуже вміло приховував своє обличчя. Уявіть її подив, коли “незнайомець” раптом вручив їй букет квітів і запропонував стати його дружиною. Таємничим чоловіком виявився Райан Деніс, з яким вона зустрічалась. Жінка з радістю погодилась вийти за нього заміж. Можливо, нам здається, що Деніс дещо перегнув палку, вибравши такий спосіб проявлення любові до своєї нареченої. Але Божий спосіб явлення любові перевершує будь-яку неординарність! Бог Сина Свого Однородженого послав у світ, щоб ми через Нього жили (1 Ів. 4:9). Ісус не просто такий собі символ любові, мов ті троянди, що коханий дарує нареченій. Він є Бог, Який став людиною й добровільно віддав Своє життя, щоб кожен, хто вірує в Нього для спасіння, міг ввійти у вічний завіт з Богом. Ніщо не може відлучити християнина від “любови Божої, яка в Христі Ісусі, Господі нашім!” (Рим. 8:39). Дорогий Боже, дякую Тобі за те, що Ти вибрав найвеличніший спосіб показати, як сильно Ти мене любиш. Допоможи тепер демонструвати Своїм життям Твою любов, що в мені. Ми знаємо, як сильно Бог нас любить, бо Він віддав Свого Сина заради нашого спасіння. Когда в городке Веланде в штате Онтарио таинственным образом появились розовые плакаты с надписью «Я тебя люблю», местная журналистка Мэриэнн решила расследовать это происшествие. Однако расследование не принесло никаких результатов. Несколько недель спустя в городе появились новые плакаты, в которых было указано название местного парка, а также дата и время. Вместе с толпой любопытных горожан Мэриэнн пришла в парк к назначенному времени. Там она встретила человека в пиджаке, который хитрым образом скрыл лицо. Представьте ее удивление, когда он вручил ей букет и предложил руку и сердце! Таинственным человеком оказался Райан, друг Мэриэнн. Она с радостью приняла предложение. Подобное проявление чувств может показаться нам чересчур экстравагантным. Но Божье выражение любви к нам намного удивительнее и впечатляет куда сильнее. «Любовь Божия к нам открылась в том, что Бог послал в мир единородного Сына Своего, чтобы мы получили жизнь через Него» (1 Ин. 4:9). Иисус Христос – не просто символ любви, как, например, тот же букет для Мэриэнн. Он – Богочеловек, добровольно отдавший Свою жизнь, чтобы всякий верующий в Него мог вступить в вечный завет с Богом. Ничто не может отлучить христианина «от любви Божией во Христе Иисусе, Господе нашем» (Рим. 8:39). Боже, благодарю, что Ты так удивительно явил мне Свою любовь. Помоги и мне проявить в своей жизни любовь к Тебе. Мы знаем, что Бог любит нас, потому что Он послал Своего Сына спасти нас.